Below are some thoughts that were stirred in me last Christmas, of which I share again. I’ll share some more thoughts in the coming days, some thoughts for this year around Christmas. But I share these once more here. 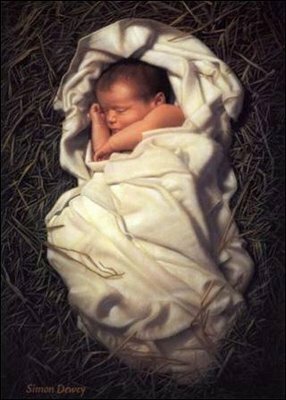 As Christmas draws near, I have been pondering one specific question: What if Christ had never come into the world? My first inclination was to think of the amazing blessings of grace that would be missed out. I mean, that is the true and overwhelming story of what would have eluded our world. But I also began to think of the many difficulties that could have been avoided. How many, including myself, have done things (even atrocious things) in the name of Christ that he never asked of us? What if Christ had never stepped into human flesh in our human world? Though some would be quick to focus on the negatives avoided, in reality, Christians believe this world would be for the worse if Christ had not come. I cannot imagine awakening with such truth wiped clean from my memory. It is beyond me. As I’ve said, I am extremely thankful I don’t have to think of a world in which Christ never came. The true Christ was the greatest gift of God ever. And, so, can you imagine Joseph and Mary lifting the little babe in their hands, looking into the eyes of the eternal Son-Logos that had been incarnated into human flesh?! Tears of joy while laughs resounded through the tears, yet a holy sobriety knowing whom lay cuddling up close in their arms. Beautiful, stirring, sobering. As Paul said in the passage above, Christ came at the fulness of time. Or, to translate even more, Christ came at the right time. There was no other time in the plan of our God. Not a day earlier, not a day later. And never was it in the plans of our God to withhold His Son from the world. God knows how and when to act. And He does so within the realm of our world. God’s acts and words are not abstract and detached from our world. They happen right here in real space and real time. This is why the Son of God came into a particular time, a particular place, a particular culture, a particular people, even within a particular political and social setting. It was all real. More real than we can imagine. That is the beauty of the divine Son putting on human flesh. It’s not just cute that he came as a babe, but absolutely astounding. Can we really understand how and what happened? I humbly think not. I am simply wowed in this moment as I think about it. Christ came at the fulness of time, at the right time, as a real human in a real world. And that great gift was in accordance with the nature of our God through all of His past acts and communication. Even more, it was a proclamation of what would continue not only for the rest of time in the present age, but in the age to come. Immanuel was always Immanuel and will always be Immanuel. The One who was, who is, and is to come. Literally and really to come. The Christmas message I ponder at this time is that Christ came at the fulness of time. God is very good at that. Our God is a God who comes at just the right time: before Christ’s first advent, with the coming of Christ, and as we await the fulness of time for Christ’s second coming. Let God be Immanuel now and forever. Let God come in the fulness of time, at just the right time, as we celebrate Christmas together. This entry was tagged Christ, Christmas, Jesus. Bookmark the permalink. First, while this is a good question, it does seem a bit off the topic of “What if Christ had never stepped into human flesh in our human world?” since it’s possitle that we would have rationalized our atrocious actions in some other manner if He had not. If anything, human imagination seems limitless when coming up with such rationalizations. Second, and or greater significance, I think the combination of these questions obscures that whether we’ve committed atrocious acts, or even how many atrocious acts that we’ve committed, is less important than whether we’ve repented of themand thereby misinterprets Jesus’ purpose for caming, which was not to make bad men good (however much that might be the result of His coming), but to make dead men live (I believe the source for this is Paul E. Little’s Know What You Believe, but cannot find the exact page at the moment). I mean this more as a minor quibble than outright criticism and hope it’s taken that way. Which brings up another interesting question/realization: can God do anything except at the right time?